Now that the ice is finally gone and the water is warming up, those of us who love paddling are heading out to our favorite spots. Where better than to check out the ponds, lakes, and waterways than in New York State Parks? Whether just for exercise or to enjoy the sun and sky while paddling across the water, getting out in your kayak or canoe is a chance to relax and see a little of the world that can only be experienced from the water. Kayakers at Grafton Lakes State Park. Photo courtesy of OPRHP. 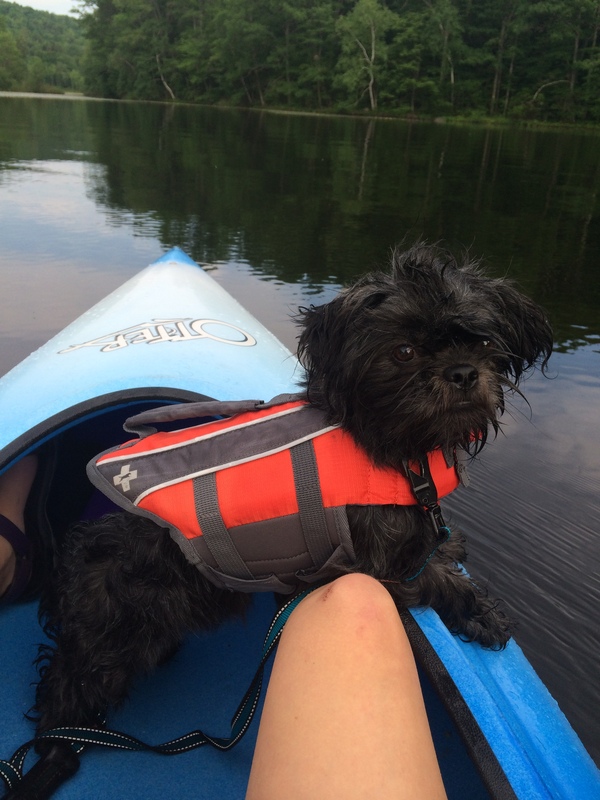 Life vests are also available for pets! Photo by Lilly Schelling, OPRHP. The Marine Services Bureau of State Parks has just conducted training for Park staff who will be offering American Canoe Association kayaking lessons and tours in parks this summer. Check out for their kayak program schedules. Marine Services Bureau is also hosting two paddling events. W.O.W. 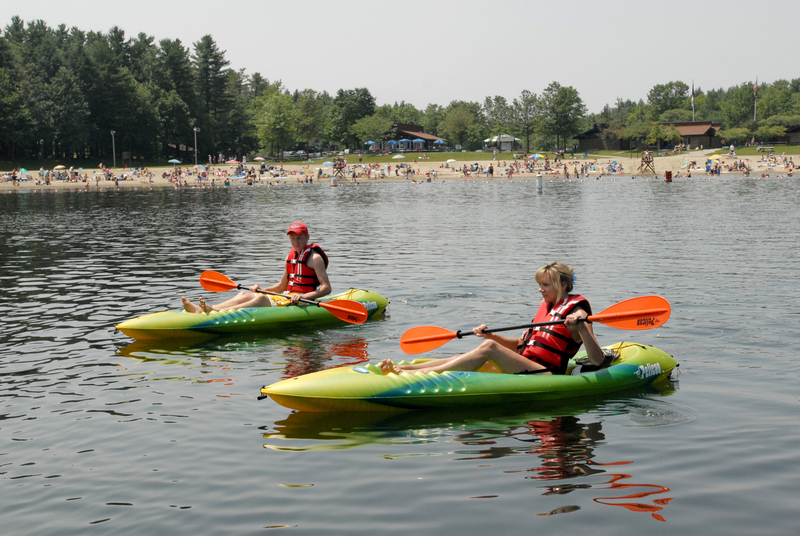 (Wear it On the Water) Paddle Fest will be held in two locationson Saturday, July 11 at Gilbert Lake State Park and Saturday, August 15 at Fair Haven Beach State Park. This free event will feature free kayaking lessons, a Life Jacket Flash Mob, and Sport Fishing Clinics along with other family fun and friendly activities to help you enjoy the water. Whether exploring for turtles, watching for osprey, fishing, or listening for the slap of a beaver’s tail, we want to remind you to be mindful of the safety of yourself and others who are paddling with you. Take a free online paddle safety course at www.paddlecourse.com. 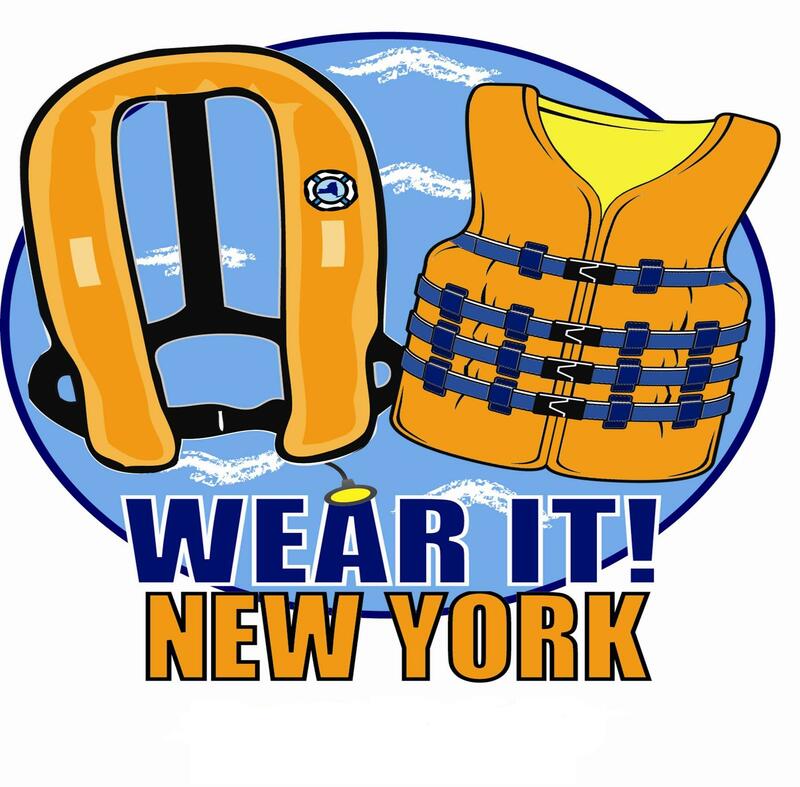 Don’t pack it, but wear your life jacket, be boat sober, and leave a float plan letting someone know where you are paddling and when you will return. Marine Services Bureau encourages all paddlers to obtain an IF FOUND Sticker to identify your boat. Write your name, cell phone and alternative phone number on the sticker and affix to your boat. 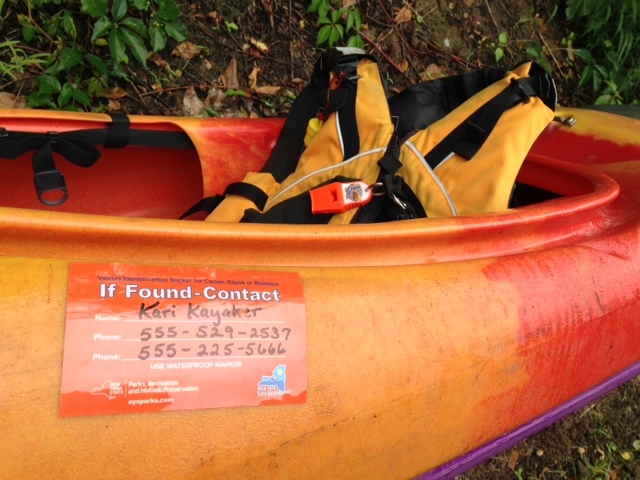 It’s a great way to return a lost boat or help law enforcement rescue a capsized kayaker. Get your IF FOUND sticker by sending a legal sized self-addressed stamped envelope to NYS Parks, Marine Services Bureau, IF FOUND Sticker, Albany, NY 12238. Photo by Ro Woodard, OPRHP. So grab your life jacket and paddle and head out to the nearest lake or pond to enjoy the serenity and natural surprises that are just a paddle away. Post by Ro Woodard, Marine Services Bureau (OPRHP). Previous PostSand: The Beaches’ Hidden TreasuresNext PostOn the Front Lines in the Battle Against Invasive Species: Strike Teams!